Xbox Game Pass owners weren’t able to play the game after the newest update dropped. This was pretty troubling, considering how many people used Game Pass to play Sea of Thieves on the cheap. 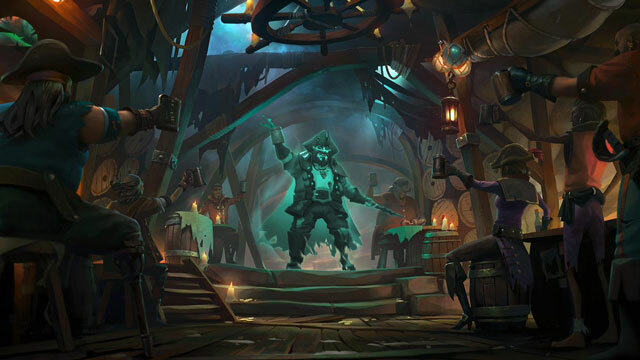 Luckily, Rare has fixed the problem now, and you should be good to set sail. Recently, Sea of Thieves got an enormous new update. The aim of it was to fix some of the rampant server issues, and other stuff. It was basically a whole new game client. Whether or not it actually fixes said problems, many people had no way of finding out, because the update causes a much more serious issue. It blocked out Xbox Game Pass owners. Now, that might not seem like much of a problem, but it very much is. You see, a lot of people have been playing Sea of Thieves through the Game Pass. Why? Because, if you own the pass, you can play Sea of Thieves for free. As a result, many players have opted for the Game Pass route, since it’s cheaper than purchasing the full game. So, when the new update dropped, a whole bunch of people were completely booted from playing. Well, fortunately, according to the Sea of Thieves Twitter, the problem should now be fixed. All of you that have had problems connecting because of the Game Pass, you should be good to go. This problem is just one of many issues plaguing Sea of Thieves. One of those problems are the reviews. Currently, the game is sitting at 70 on Metacritic, with a 5.4 user score. The reason for this relatively mediocre score is a general lack of content. And, yes, there’s not a lot to do in the game; it’s almost like an early-access game going for full price. Hopefully, the planned new content coming down the pipeline will add more stuff to do.